I asked No. 1 Son to take the roast out of the freezer and put it in the fridge to defrost. I know, I should have been more specific because he took a piece of roasting beef from the freezer instead of the chicken I had planned to cook. He had to dig to find the piece of beef, moving the chicken in the process. It must be a male thing - seeing the obvious right in front of them isn't one of their strengths. Anyway roast beef for tea it is. Mustard roast beef, cooked slowly on the barbecue, so it is moist and flavourful and very, very tender. We'll have baked potato and sweet potato, broccoli with cheese sauce, carrot, corn and green beans. And gravy made with the pan juices from the meat (gravy is a must for any roast dinner in our house). 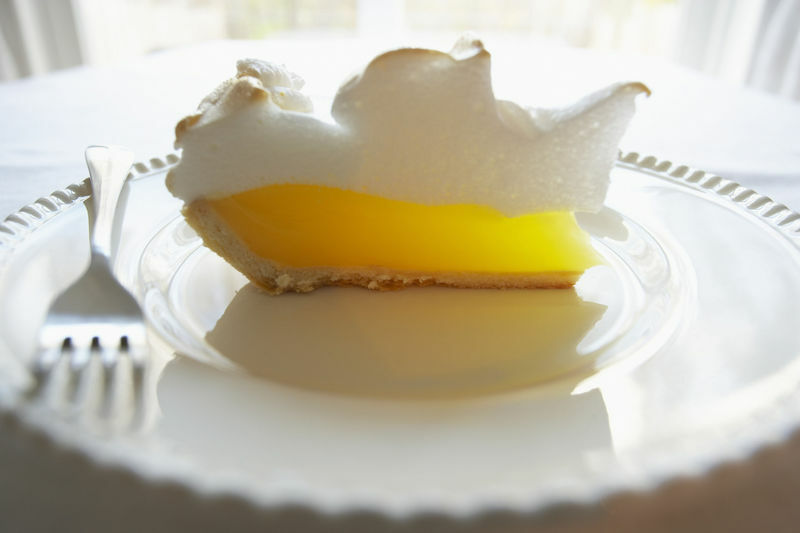 And for dessert tonight we'll have lemon meringue pie made with Six Minute Lemon Butter. It's Wayne's favourite and it's a good way to use up some of the lemons I have in the fruit bowl. And frankly it's a rather delicious way to end a lazy winter Sunday in Melbourne. I've been asked for my recipe for Homemade Apple Drink, made from apple peels and cores. After you have peeled, cored and sliced the apples for a pie or to make applesauce, you do the "right thing" and put the peels and cores in the compost pile. For a truly healthy treat and as a part of a no waste kitchen, put the peels and cores into a saucepan. The more peels and cores you have the stronger the drink will be, so if you only have the remains of one or two apples, freeze them until you have enough to half fill your saucepan and then make juice. Add enough cold water to just cover them and slowly bring them to the boil. Let them boil a few minutes until the cores and peels are soft (about 10 - 15 minutes, depending on how many you have in the pot). Pour the mush into a jelly bag (or a piece of clean cheesecloth, Chux or muslin if you don't have a jelly bag) and hang it over a deep pot until all the juice has dripped through. I use an old (but clean) muslin baby wrap for this step. I already had it and we are way past the baby wrap stage, so this is a great use for it instead of just taking up cupboard space. This may take a couple of hours, be patient. Gently squeeze the bag to get all the juice and a little of the fine pulp. Bottle the juice and store it in the fridge. Now you can add the leftovers to the compost pile and let the worms feast! This juice doesn't look like commercial apple juice and it doesn't taste like it either. It's heaps better, just ask my kids!